While Sloan Fine Art exhibits work in a variety of media by emerging to mid-career artists, the core program focuses on painting, sculpture and works on paper. 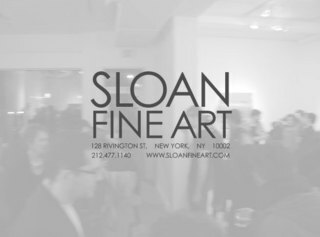 Currently, Sloan Fine Art functions as a nomadic gallery with recent and upcoming exhibitions in on the Lower East Side, in Midtown and Brooklyn. Visit SloanFineArt.com for exhibition details.